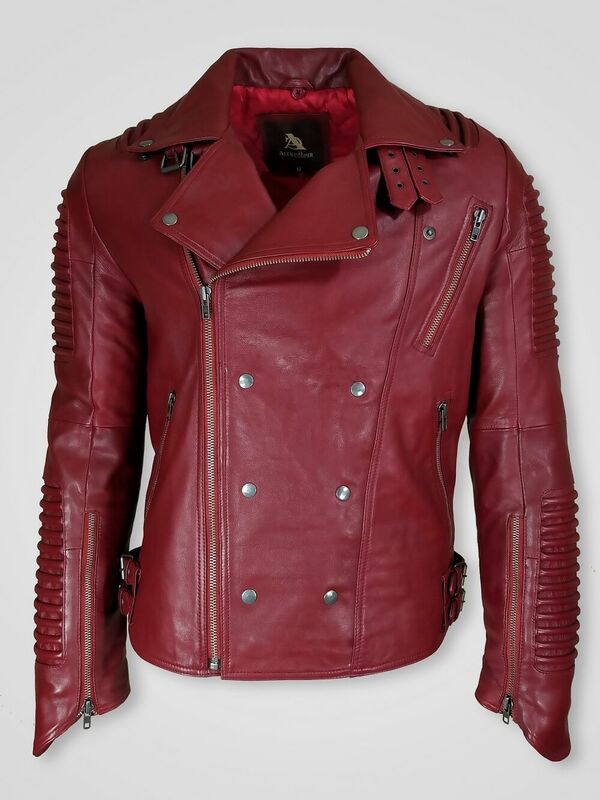 Description: Alen Cooper believes in quality and customer satisfaction and that’s why it is offering the best products since 2006. 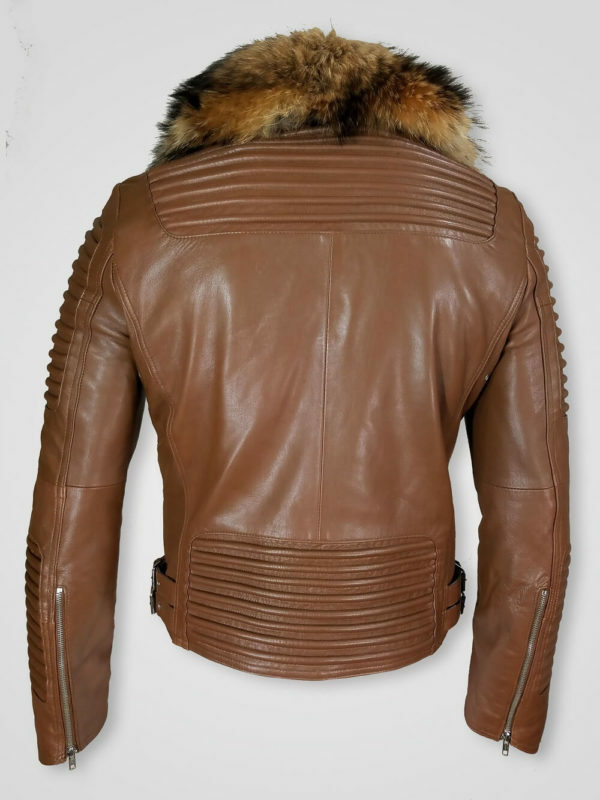 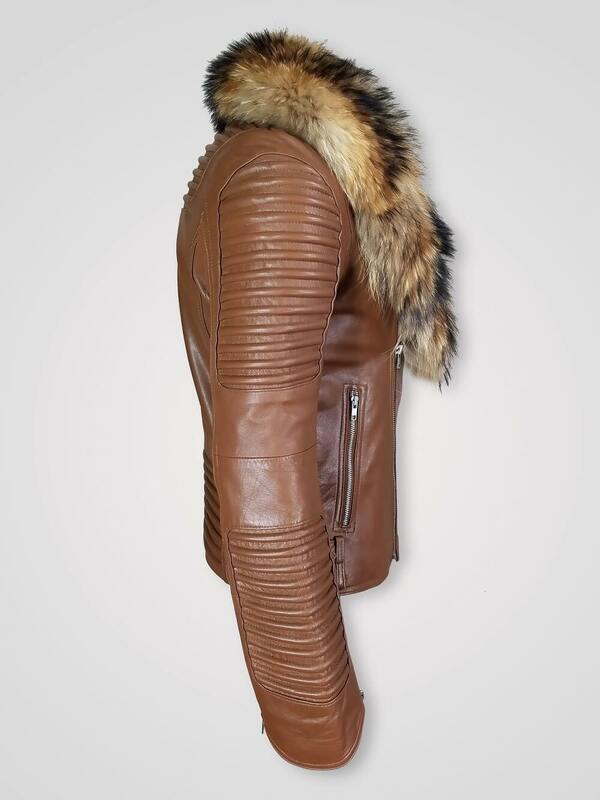 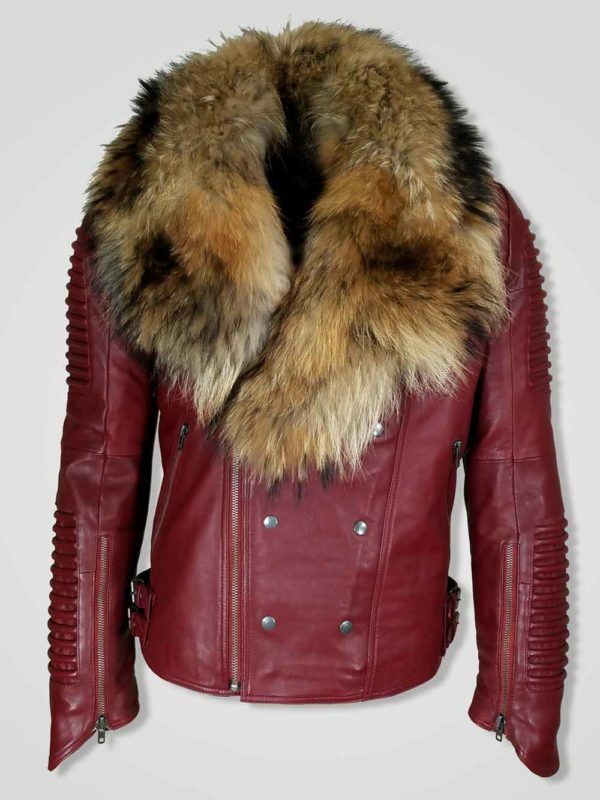 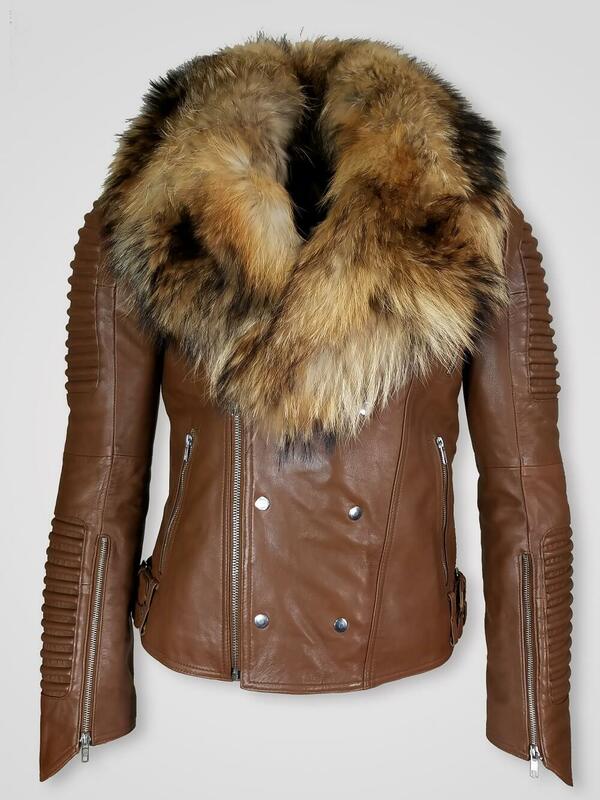 It is a tan colored pure Italian leather finish jacket with raccoon fur collar. 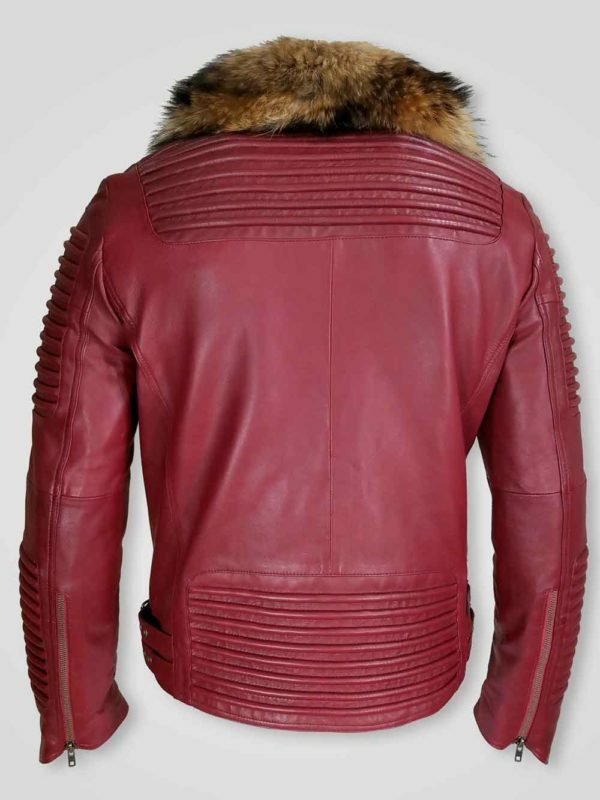 Long quilted sleeves, shoulder and lower back are there to offer you a cool sensational look. 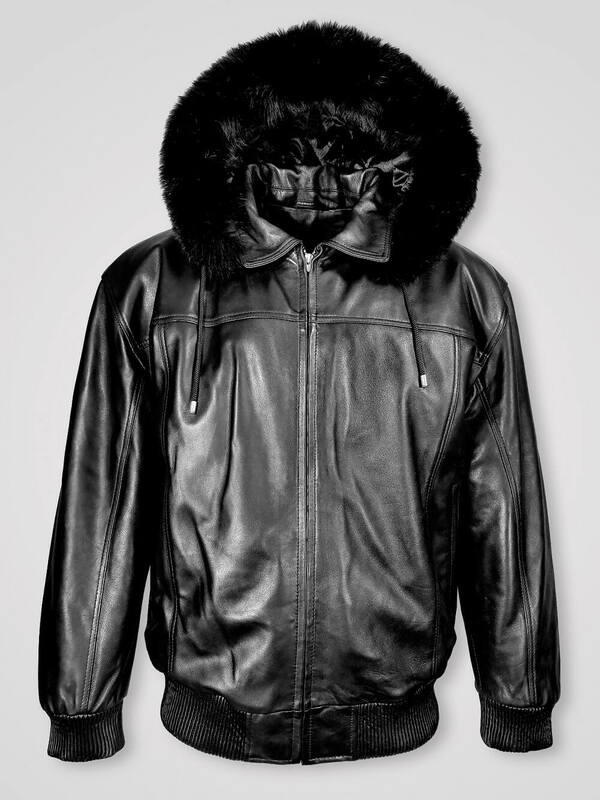 With the asymmetrical Zipper closure and snap buttons pairs you can easily enjoy a comfortable fit for all the day. 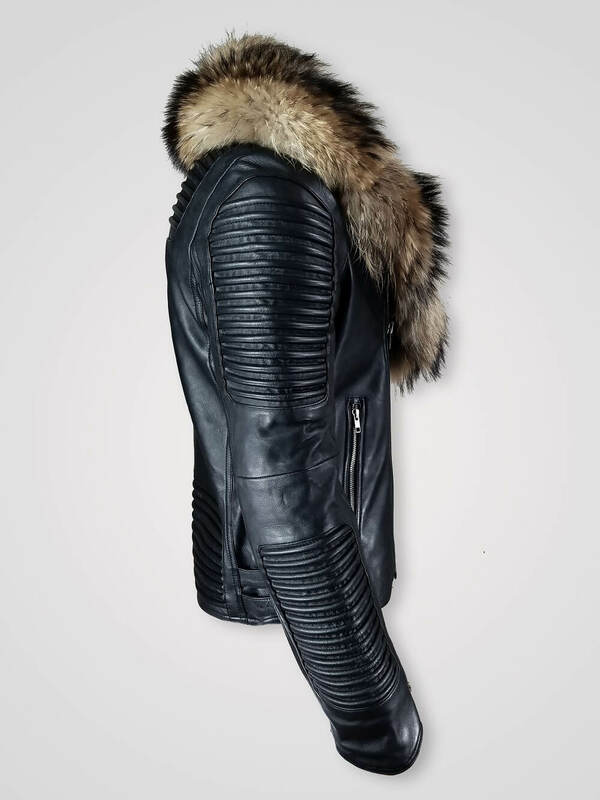 It can be worn on any kind occasion. 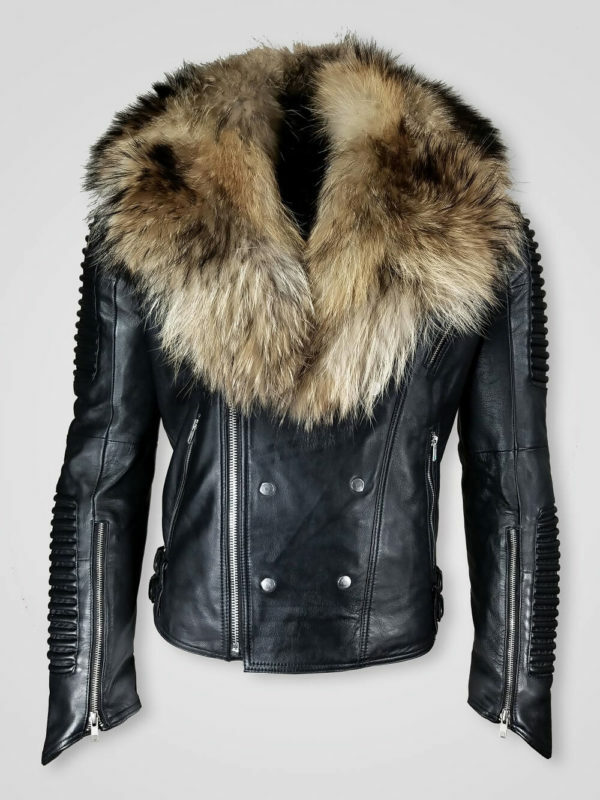 Specialties- real fur collar, butter-soft leather texture, and perfect fit are the main attributes which are enough to let the outerwear be in every man’s wardrobe in this season.